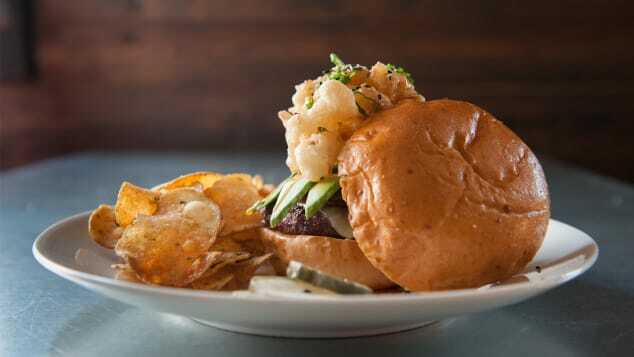 The latest “it” ingredient to hit menus is CBD, short for cannabidiol, one of over 60 cannabinoids found in the cannabis sativa plant (more commonly known as marijuana). Unlike THC, the most well-known cannabinoid, CBD has no psychoactive effects. So, while it won’t get you high, its reported therapeutic properties have driven CBD sales and popularity in the wellness industry. While researchers are still trying to determine CBD’s effects, some studies suggest it can help treat inflammation, pain, anxiety and seizures. The controversy around this superfood stems from inconsistent cannabis regulation at the federal and state level. Despite growing legalization, the DEA still considers cannabis — including CBD, unless sourced from industrial hemp — an illegal drug. To date, the FDA hasn’t approved any CBD products apart from an epilepsy drug called Epidiolex. State laws vary and are changing all the time. 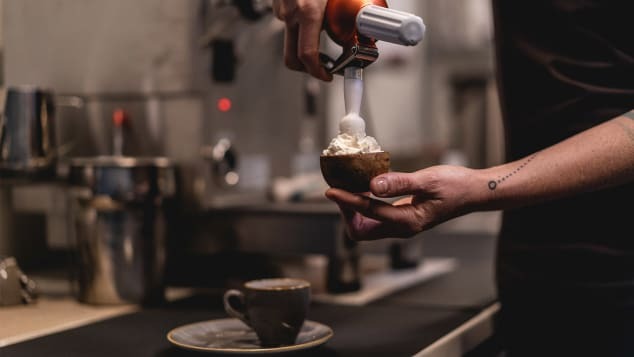 With the Golden State out of the culinary cannabis spotlight at the moment, it’s time to highlight some other less celebrated locations where you can find CBD-infused treats out in the wild. 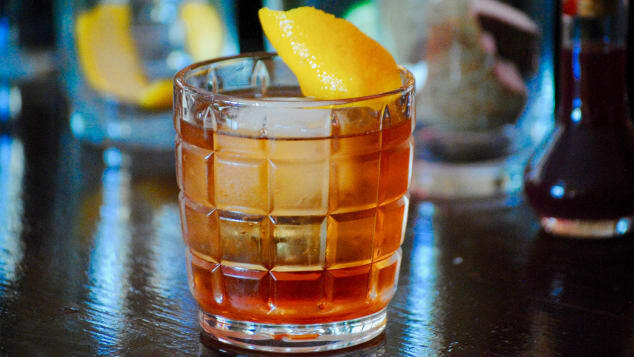 The infused drinks include the Stoney Negroni, Rolled Fashioned, and the Bakin’ & Eggs, which is made with Pineau des Charente, Lillet Blanc, blood orange bitters, egg white, and garnished with crisped bacon. 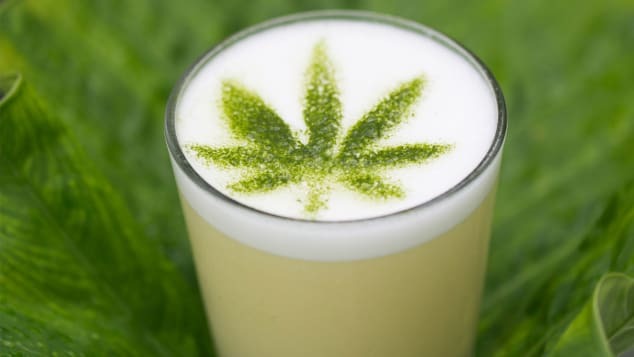 They’ll add a dose of CBD to any beverage for $2, or you can order a specialty drink like the Sage Advice Latte, with maple and sage-infused syrup, espresso, steamed milk and CBD. 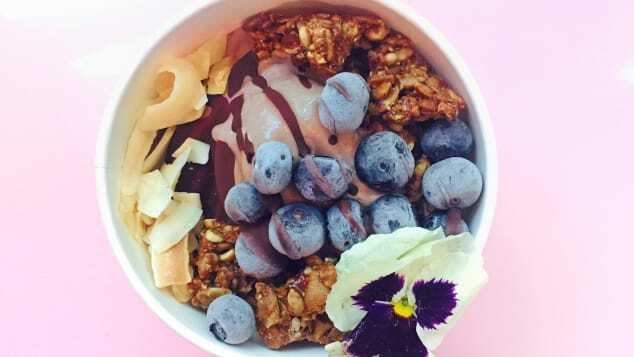 Think of the Zen Bowl as an ice cream sundae for the Goop set — dairy-free, probiotic-enriched coconut soft-serve heaped with colorful superfood toppings like antioxidant blueberries, nutritious black sesame granola and CBD cacao magic shell. Available April through October at Brooklyn’s Smorgasburg on Saturdays in Williamsburg and Sundays in Prospect Park, it’s allergy-free and utterly Instagrammable. They offer Jell-O shots and wine in a can, and a slushee with a hemp-derived twist — the Prickly Pear CBD Margaweeda, made with fresh lime juice, triple sec, silver tequila and prickly pear puree. This homey café, a neighborhood go-to for fresh-pressed juices and tasty breakfast scrambles, was one the first in Vermont to put the wellness ingredient on the menu after “we experienced the benefits of CBD firsthand with our son, who has autism and a tumor disorder,” owner Athena Scheidet says. Travelers who want a break from Manhattan’s hectic pace don’t even need to leave their boutique hotel room for the latest way to unwind — CBD-infused room service from notable cannabis chef Annabel Drummer. Downtown Las Vegas’s Fremont East area has become an artsy hub for plant-based eats and health-conscious cocktails — the antithesis of the Strip’s bottle service and Champagne-shower decadence. Affordable global street food at VegeNation is locally grown and plant-based, and even the cocktails have a positive spin — particularly The Changemaker, a refreshing, infused whiskey tea made with local distilled liquor and tea from Bloomin’ Desert Herb Farm, a brew of rosemary, ginger, holy basil, red clover, nettle, peppermint, clove and raw CBD oil in purified water. 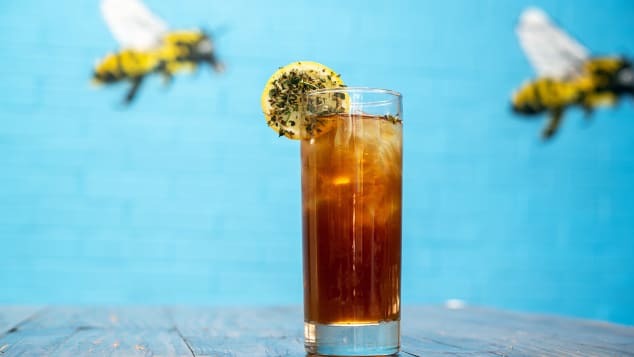 The secret ingredient in Plant Miami’s drink isn’t so secret. Miami isn’t all neon lights, and pumping basslines. When the South Beach scene feels like it’s all too much, find your Zen at Sacred Space Miami. The tropical Plant Medicine cocktail — with fresh pineapple, house coconut milk, dark rum, and a dose of CBD oil — is the perfect blend of Miami vibes and mindfulness. The comfort food at this historic cottage includes community-sourced dishes like Aunt Penny’s Mac & Cheese with mushrooms and onion-potato crunch and John’s Gnocchi Verde with spinach, Reggiano cream, and lemon zest. 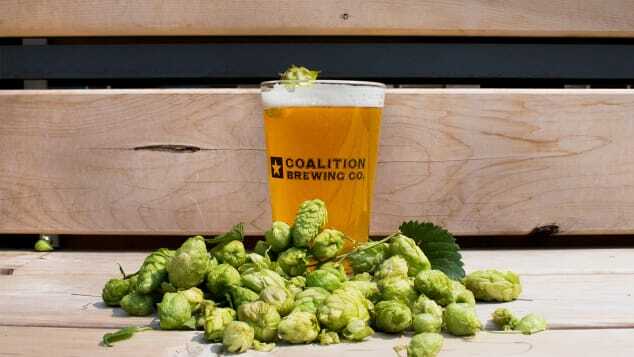 IPA + CBD = Coalition Brewing’s Two Flowers brew. This brewery changed the game with Oregon’s first commercially produced CBD-infused beer, Two Flowers IPA, highlighting the kinship between cannabis and hops with an aromatic, grassy flavor. The beer has become so popular that you can find it all over town at establishments like EastBurn Public House and Dot’s Café, though it’s worth a visit to the tasting room’s new patio where you can enjoy it in its original birthplace. You haven’t reached peak Vermont until you’ve visited this rustic barn-turned-restaurant’s periodic “Hemp and Hops” dinners, where five-course meals are infused with CBD and paired with local craft beers. 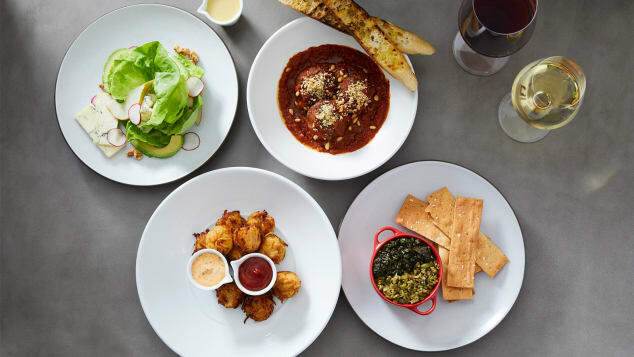 There’s also CBD honey vinaigrette for salad, a CBD brownie sundae with house-made CBD caramel, and clever CBD cocktails with names like Gin and Chronic, Le Verde and Up in Smoke.